Centrally located in beautiful Leelanau County between Suttons Bay & Northport, our charming cottage on Bass Lake is a fisherman's dream. Perch, Bass, & Bluegill are abundant in the natural lake. Wildlife is a common sight for those who take the time to observe the deer, rabbits, raccoon, & birds. Sit on the deck & read your favorite novel, or watch the sun set over the lake while you grill your catch of the day!! 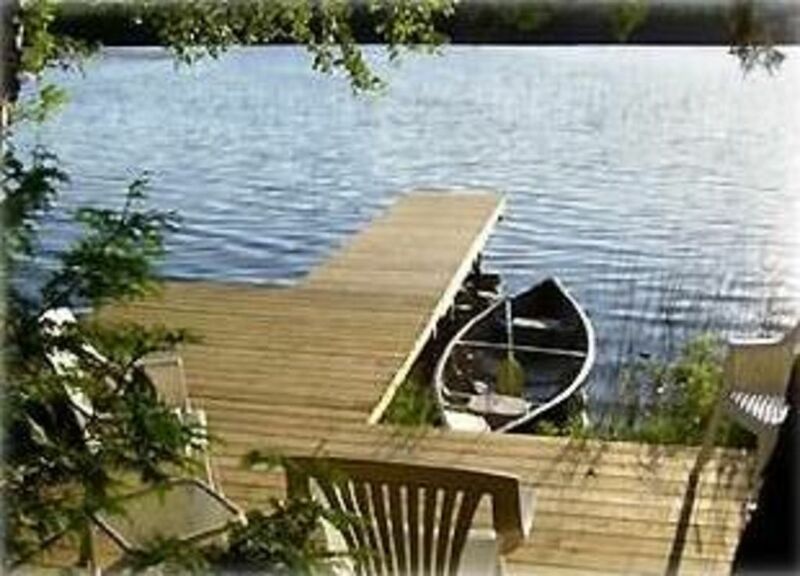 Our rowboat,canoe, & paddle boat are available for your use. For those who want to swim, public beaches on beautiful Grand Traverse Bay are just minutes away. We offer you all the comforts of home, including hardwood floors,ceramic tile,french doors, 3 bedrooms, 1 bath,a fully equipped kitchen, a large lakeside living room, central air, satellite tv, internet, & an expansive deck, perfect for family entertaining, or outdoor dining & grilling. Leelanau County is a beautiful area, one of the best in Michigan, I might add. We are surrounded by Lake Michigan, numerous inland lakes, vineyards, cherry & apple orchards, & quaint villages. We have award winning wines from local vineyards, live entertainment & gaming at the Leelanau Sands Casino, art galleries, & some of the best dining establishments in northern Michigan. open kitchen with new Bosch dishwasher, stainless fridge, and gas range. our rowboat and paddle boat are available for our guests.